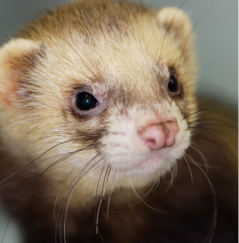 Compounds that may be either emesis-reducing, or emesis-inducing are most often tested with ferrets. This model is considered the gold standard for this purpose, and NDI is especially pleased that our studies with this model are conducted by one of the top emesis research groups in the world. Emesis is usually produced with chemical agents, such as the chemotherapeutic cisplatin. The test compound is then administered acutely or chronically, and its effects on nausea, retching, and vomiting are measured. The value of this model in identifying emesis-reducing agents has been most evident in the discovery of the anti-emetic properties of 5-HT3 and NK1 receptor antagonists. Increasingly, this model has been used for the opposite goal: to evaluate possible emetic properties of a compound developed for other purposes. For example the data below illustrate a test compound’s effect on latency to the first emetic episode, the number of episodes in a 6-hr period, and the number of specific retching and vomiting events during the same time period. Different time periods of measurement may be used. For an example of a redacted final report [Click here]. 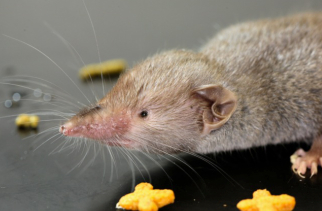 Ferrets do not become motion-sick, so to evaluate the anti-emetic properties of compounds developed for treating motion sickness another animal model is used, the house musk shrew (Suncus murinus). This animal does exhibit emesis when subjected to vigorous horizontal displacement. 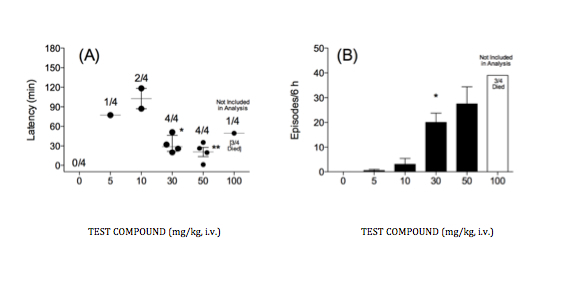 The emesis research group conducting NDI studies has used this model extensively as well, most notably to identify potent anti-emetic properties of tachykinin NK1 receptor antagonists.